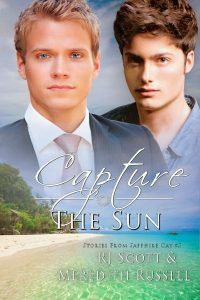 Mitch has to contend with feelings for an old love and his growing attraction to Isaac. Model, Isaac Bailey wants to break into the world of fashion design. Under his father’s company name, he is set to debut his new collection—summer wear. He has the models, the clothes, what he needs is a location. As the fashion shoot gets underway, Mitch has to contend with his feelings for his old love, Dylan, and the very new and growing affections he has for Isaac.